Western Counties Society of Osteopaths autumn conference. Both Amy and myself attended the conference last weekend near Exeter. 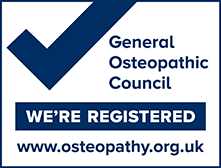 There was great presentation given by Caroline Stone (Osteopath) on her specialist area of Visceral Osteopathy. Caroline emphasised the relationships between the visceral systems (ie our organs, particularly or digestive system organs in this lecture) and the musculoskeletal system. There was great advice given on how to help our patients manage conditions such as irritable bowel syndrome and the hands-on work that we can do to assist.